Occasionally you’ll configure a feature only to discover that another feature on the account has over-ridden your preferred feature. 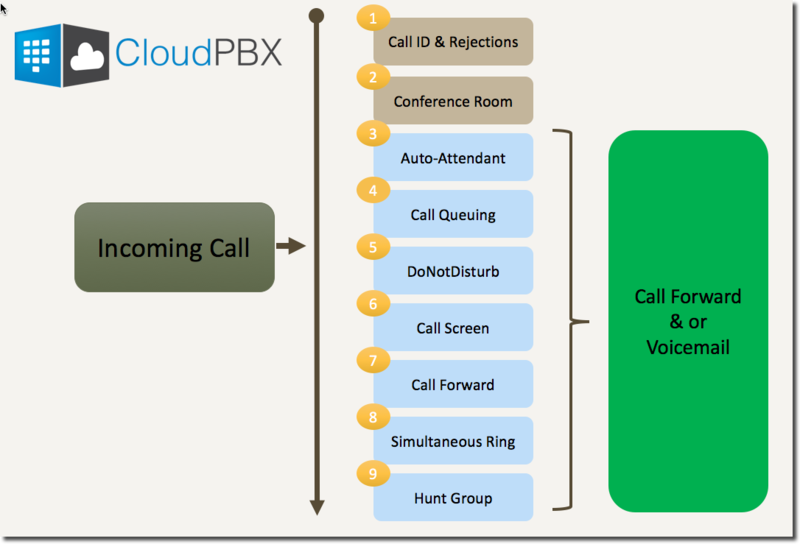 For example, you can’t set Call Rejection and Call Forward on the same line, as the Call Rejection has a higher priority than the lower call forwarding. 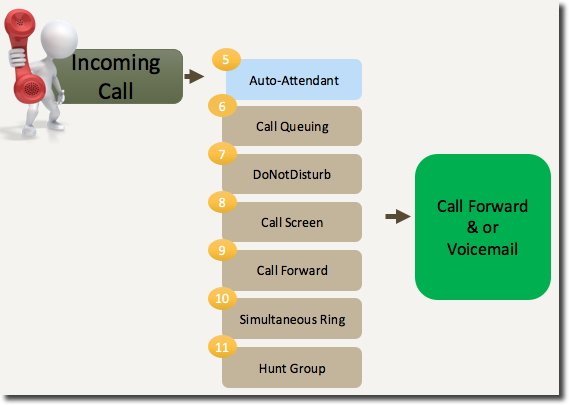 Features 3 – 9 in the Call Flow Priority (Auto Attendant down to Hunt groups) can be configured to post dial either the Call Forward or Voicemail after the incoming call has been received. Secondly, the Auto Attendant has can be configured to post any of the calling features below itself which reflects the importance of the Auto Attendant as the primary incoming number calling feature. The kid develop a leading blonde lace wigs https://www.youtube.com/watch?v=ovU7TuvxKA8 That i have ever used. I bear them in the colors and shades . >Worth almost every cent.